1st Pet is proud to be accredited by the American Animal Hospital Association, the only veterinary hospital accrediting body in the United States. AAHA membership confirms our commitment to the highest standards of veterinary care and our goal of constant improvement. The highest quality veterinary care you can get. 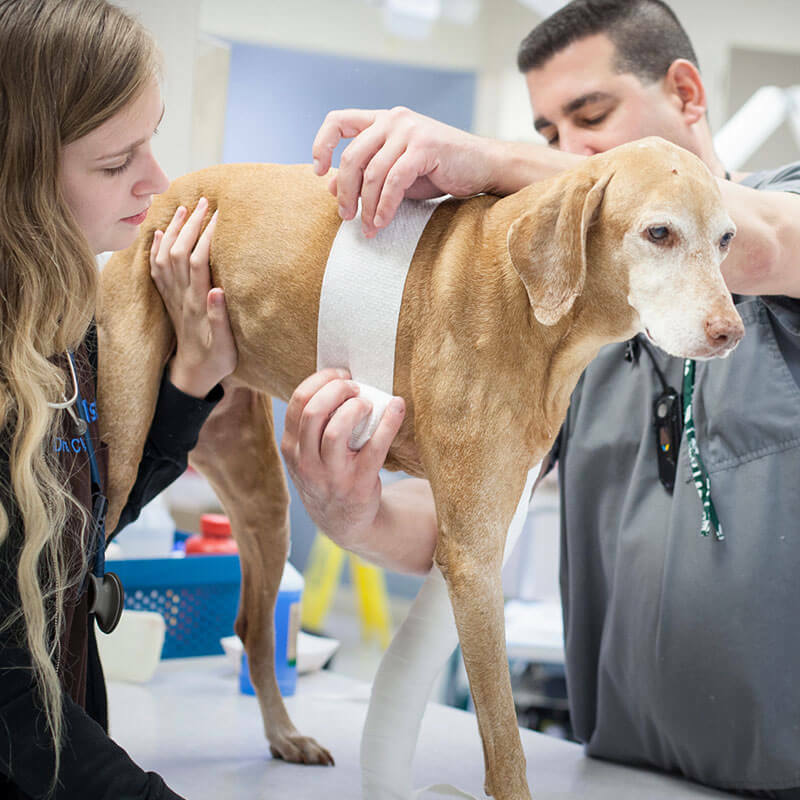 To earn accreditation, veterinary hospitals must adhere to standards set by AAHA to ensure that member hospitals are providing only the highest quality of veterinary care. Participating hospitals must follow over 900 standards in categories like diagnostics and pharmacy, facilities, management, medical records, and quality of care. Once a hospital meets the standards, evaluators determine a hospital’s eligibility, and then ongoing evaluations ensure conformance to standards that change as science provides additional care improvements. Animal hospitals are not required to receive accreditation to remain in practice, unlike human hospitals. Many people incorrectly believe that their animal hospital is accredited when it is not. In fact, a study found that nearly 60 percent of pet owner think their unaccredited veterinary hospital is accredited. A great resource for pet owners and veterinarians.